UK College of Business & Computing (UKCBC), one of London’s leading higher & vocational education inaugurates its campus from June 2018 for the first batch of students. The College currently has six campuses in Central & Greater London including the English language arm UK College of English (UKCE). Located in the heart of Dubai International Academic City and with a campus spanning around 19,000 square feet, the Dubai Campus will initially deliver Pearson BTEC qualifications in business management, computing, travel & tourism, and health and social care eventually expanding to other qualifications that suit the UAE’s higher education and employability needs. “Vocational training is taking off in the UAE as more entities understand and appreciate its benefits. Youth now should be more open to opportunities to train in vocational courses as per education professionals and students. At UKCBC we will start with programmes in Business programmes at level 2 & 3 and then look to offer additional qualifications as the centre develops. This is the first step in our broader strategic plan to give true global access to quality education at value for money prices that will appeal to all income groups.” the college’s Director of Finance and Operations, Bhargav Busa said. Employers increasingly prefer to hire graduates who can demonstrate work ready skills. BTEC diplomas provide students with industry experience from ground level. Students are required to complete assessments based on real companies or scenarios which helps build skills such as decision making, communication and other interpersonal skills. All the BTEC courses offered by UKCBC are awarded by Pearson, the world’s largest learning company. 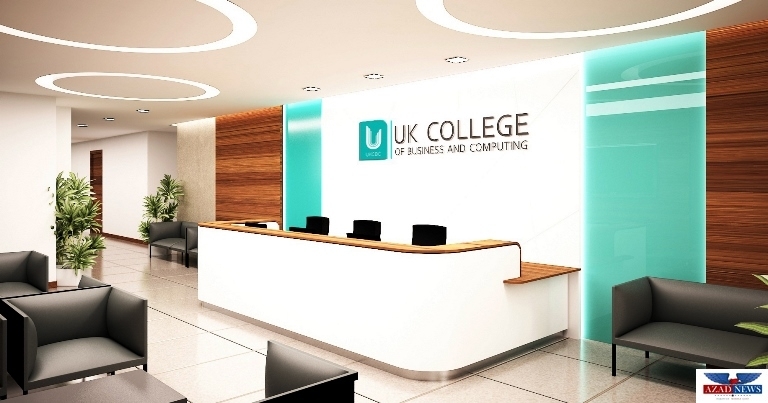 UK College of Business & Computing is an independent higher education college established in 2001 and has campuses covering both central and Greater London. The college has grown from having just a single campus to now having six across London, including campuses in Oxford Circus and Holborn.